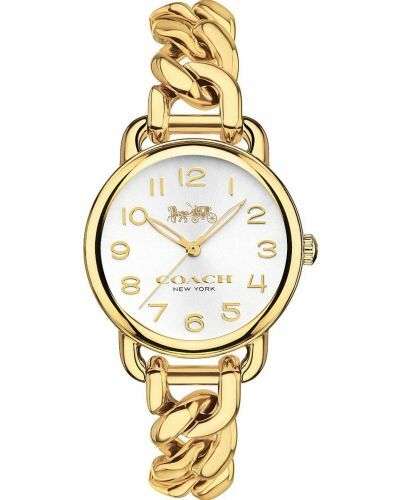 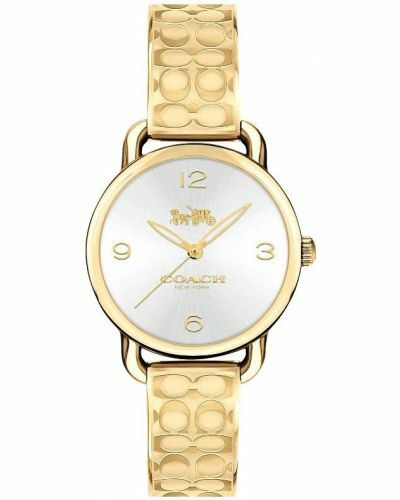 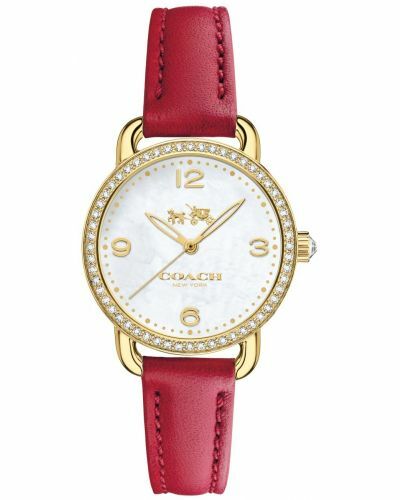 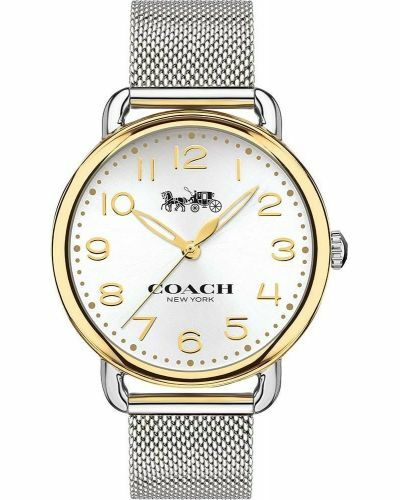 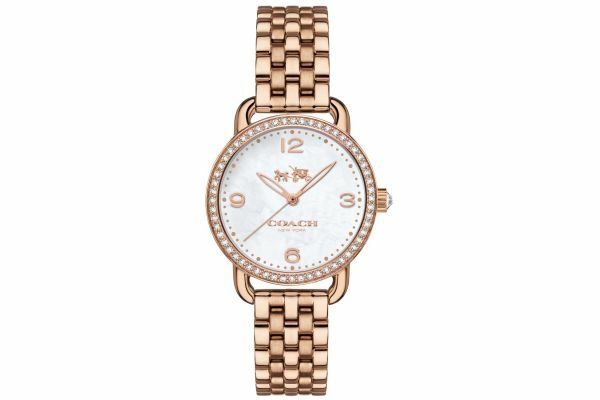 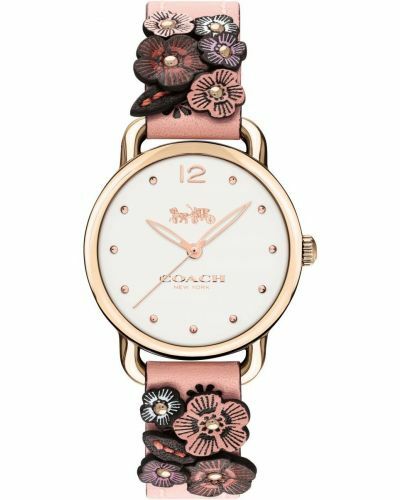 Women's Coach Delancey rose gold crystal set dress watch with a round polished case. 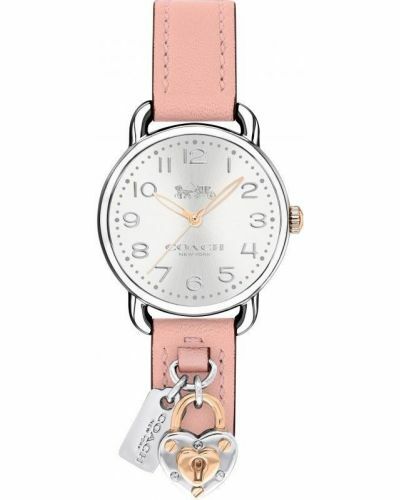 Has a beautiful white textured dial with polished rose quarter hour numerals and rose gold hands. 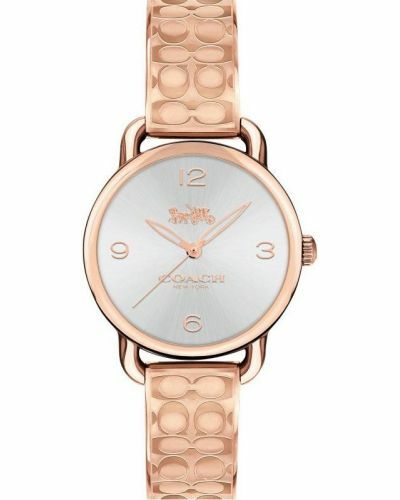 Features a part polished, part brushed rose gold plated bracelet. 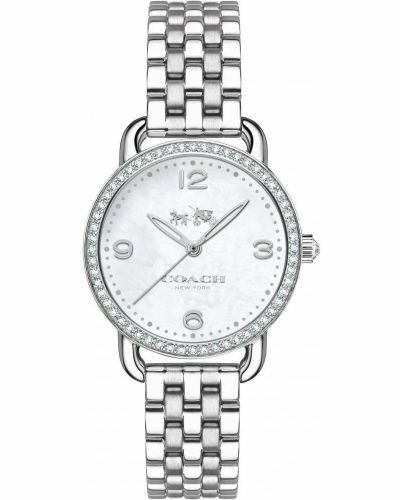 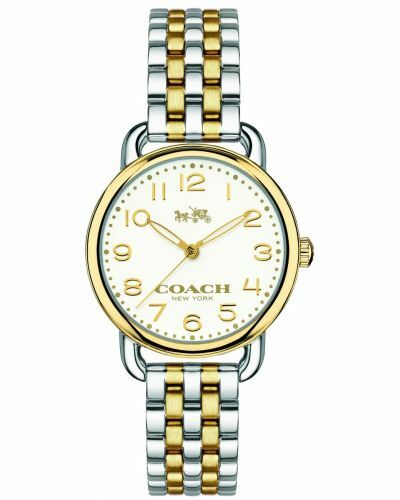 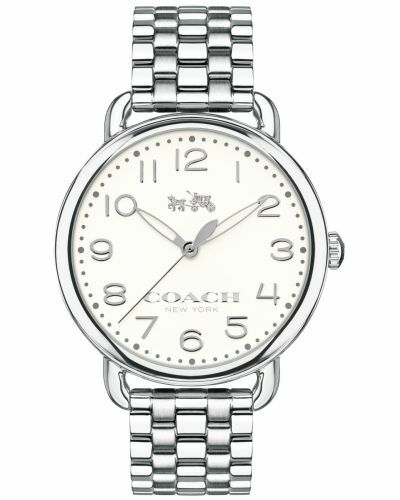 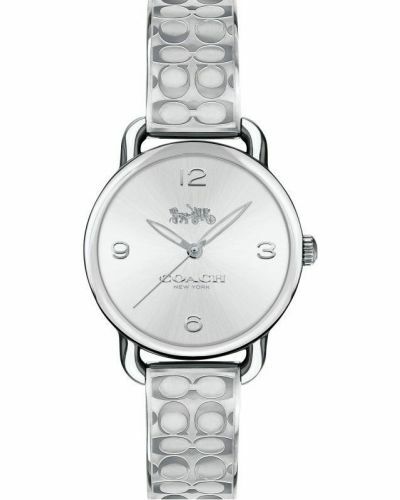 Powered by a quartz movement and comes with the Coach 2 year guarantee.